Fall Armyworm (FAW) is an insect that is native to tropical and subtropical regions of the Americas. It prefers maize but can feed on more than 80 additional species of plants. It has a voracious appetite, reproduces and spreads quickly, given the right environmental conditions. FAW was first detected in Central and Western Africa in early 2016 and has spread across most of sub-Saharan Africa in a staggering speed. 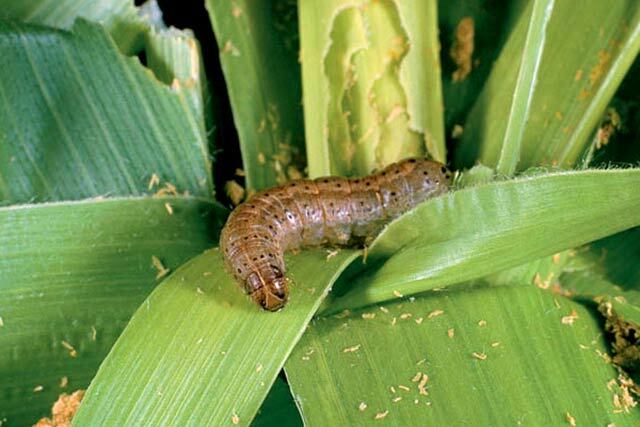 Millions of hectares of maize, most in the hands of smallholder farmers, have been infested and the crop pest poses a significant threat to food security, income and livelihoods. According to an evidence note published by the Centre for Agriculture and Biosciences International (CABI) in September 2017, unless proper control measures are implemented, the pest could cause maize yield losses estimated between 3.6 and 6.2 billion dollar per year across the 12 major African maize producing countries. With the aim of combating the spread of FAW across the African continent Weather Impact and Satelligence have joint forces to develop a digital forecasting model that provides actionable insights to users. The innovative model combines high resolution satellite- and weather data to predict the outbreak of the FAW. Farmers receive timely warnings about the risk of outbreak and are enabled to take appropriate measures to protect their crops. The model will be first tested in Ghana where in 2017 over 144 000 hectares were infested with the pest and the livelihood of more than 4 million farmers is threatened. The first phase of the development is funded by the Small Business Innovation Research program, part of the Dutch Government. Posted in Geen categorie, News.